The extraordinary sweep at the National polls and the initial euphoria has quietened down. It has been six months of the NDA Government in power under PM Narendra Modi. Few leaders had raised the expectations of a resurgence as he has done in his short stint at the helm (and even before it began). A couple of my friends, whose intellect and knowledge I deeply respect, had questioned me on Facebook recently. It is all right that Modi is drawing in huge crowds at his meetings in India and abroad, but is he delivering at the ground level or are these just photo ops? Is the common man actually benefiting from all this? I promised them that I would reply via a blog post and here it is. Let us first highlight his achievements (I say Modi's achievements because it is more or less acknowledged that his is a one man show, no doubt backed by a able team). So much dependence on an individual presents its own risk is another matter. When the Union Budget was presented there was a lot of criticism that there was no big bang reform announced therein. The Budget happened to be just an exercise in consolidation. As the Finance Minister has reiterated, reform does not necessarily have to be big ticket reform: small changes on the ground well implemented are equally effective. The long overdue Diesel price deregulation allowed the Oil marketing industry (state owned companies) to breathe easier. They had been saddled with thousands of crores of red in their balance sheets on account of under-recoveries due Government dictated pricing. Simplification of licencing for industry is rapidly taking shape as is the much awaited GST (Goods and Services Tax) that will usher in a uniform and stable tax environment in country. Land reforms, another key area is also being looked into with urgency. Most importantly the domestic and foreign investors have got the message that it will make life for businesses easier- industrial growth had choked in the last few years. Focus is also on reviving the SME and MSE's- a badly neglected area which is so critical for boosting employment among the semi skilled. Emphasis on good infrastructure should provide the right support too. One indicator of this is Modi's ambitious vision of Smart Cities (from scratch up) alongside newly built national highways and a mind numbing target for scaling up of solar energy. Modi also knows what technology can do for rural India- thus internet connectivity is on top of the agenda. The development focus is not just an elitist plan. The Swach Bharat Abhiyaan (Clean India) envisages a toilet in every Indian home. A bank account for every citizen scheme has been a massive success- millions of accounts have been opened and this touches the underprivileged section of society- banking for all also aims at shifting from a cash economy. Many of these are proposals- what are the signs that the tide is indeed turning? Firstly and importantly, the FII's (Foreign Institutional Investors) have come back in droves. The massive monthly inflows from FII's have been the biggest proof that they are buying Modi's vision. The Equity markets have rallied to an all time high (BSE Sensex @28,000 ) up from 20,900 a year ago. And if the analysts are to be believed Indian markets are in a structural bull run and are likely to go further up. This has whetted the appetite of domestic investors too (individual as well as institutional). The (AUM's) Assets Under Management of Equity Mutual Funds have scaled record peaks. Corporate heads too have expressed confidence in the the policies and are eager to get back into expansion mode. This has had a curious side effect too: investors have shifted their attention from safer assets such as gold and property and have placed bets on equity. The result is that the property market has cooled down and erstwhile stratospheric prices are at last headed downwards. Fund raising for Start-Ups has never been so easy- a slew of e-retailers have fetched big ticket funds for expansion. At the Government level, Modi's no nonsense functioning style has earned him many admirers ( a few from the opposition benches too, much to the ire of their respective parties). His non corrupt image and impeccable work ethic has set the tone for his ministry and officials. He has personally assured them that they need not be afraid of 'reputations', if they faced an obstacle from anybody, however influential, they could approach him. This kind of openness was unheard of in New Delhi. His presence and effective communication on social media has raised his already immense popularity by a few notches more. There will always be critics and skeptics. There is, of course, a time lag between investment, expansion and results to show up- especially on employment opportunities. What one must understand is that he took charge at a time when the country was reeling under years of misrule and was ridden with one damaging scam after another. All this set back the image, the business environment and finances of the country by a decade. Modi, therefore, did not begin on a plateau: the climb has been all uphill and to his credit he has not harped on the past but energetically focused on exciting possibilities. 'But the corruption and ineptitude at the ground level is the same. I still have to pay the same bribes, the attitude is still unfriendly." Just as a corrupt PM us not a justification for me to compromise on my principles and ethics, a honest PM cannot ensure that all his countrymen take his cue either. The hard part is this that some might belong to his own party. History is not created in a day. Shouldn't we allow our visionary PM some space and time for his grand dream to unfold? 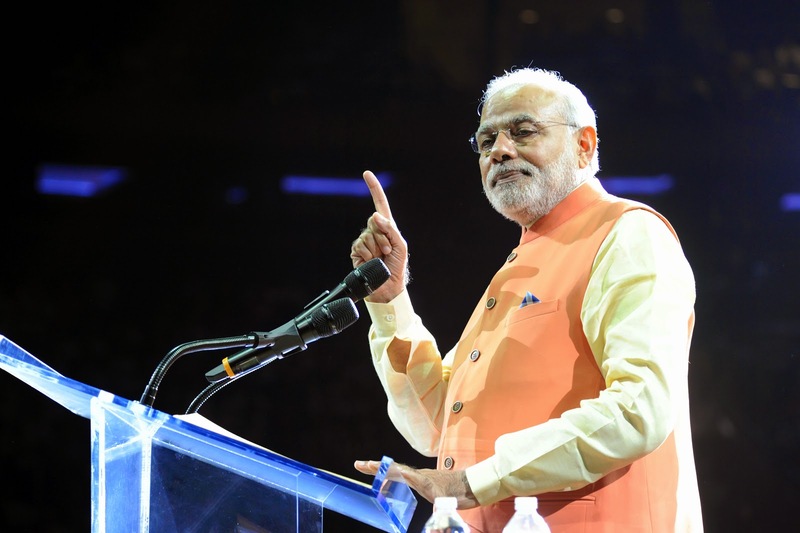 Transforming a nation as complex, diverse and vast as India poses a mind-boggling challenge. Modi seems to have an appetite for such a challenge. The above presentation by Puneet Bhatnagar and his Creativity Mission India, asks the pertinent question~ How could we bring about good days? I think this should answer those who still have doubts..
As far as I am concerned, Happy Days Are Here Again! !